The Dallas Diocese Chapter Organizational meeting took place on Saturday July 14, 2018 from 8 AM til Noon. Diocesan Deputy Roy Rabenaldt opened and conducted the meeting with Fr. Morris doing the opening prayer while DM SK Pat Conway lead us in the Pledge and Opening Ode. Jack Gunn and Reed Fontenot reviewed Supreme’s and State’s Faith in Action program utilizing projected graphics and videos. 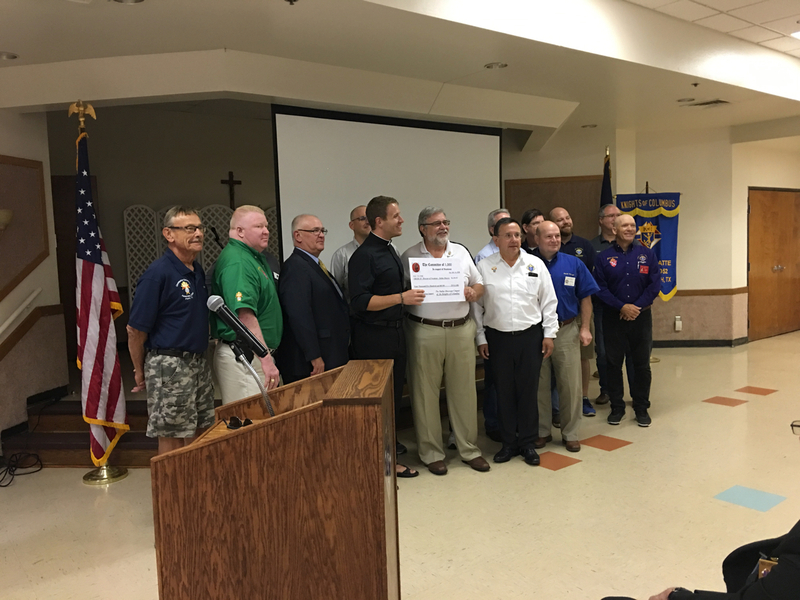 The Committee of 1000 & RSVP Program directors, Mike Greene and John Little presented a check to Fr Edwin Leonard.